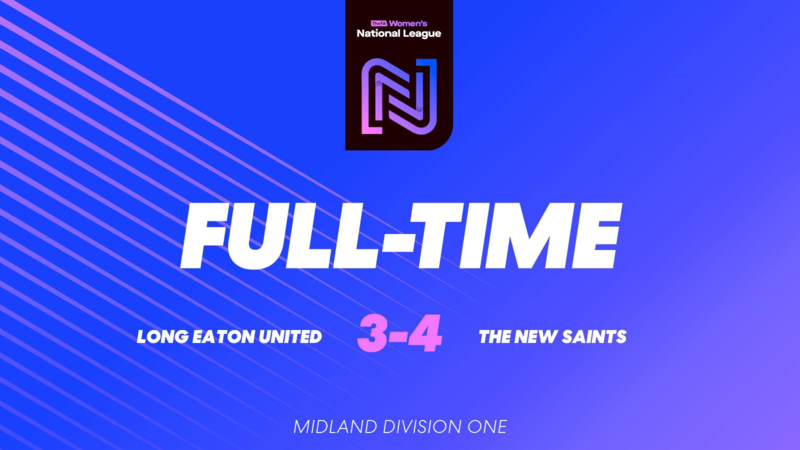 A 4-3 win in November, thanks to a last minute Sarah Jackson winner, was repeated by the Saints in their second visit of the season to Long Eaton United. A 7-1 thumping in the FA Cup was the score the last time TNS left Grange Park, however, this time they left with all three points thanks to a Katie Doster brace and a goal apiece from Laura Morris (her second in two games since returning from injury) and a thumping header from Kim Bebbington. Saints started the game in spectacular fashion, as following a brief period of possession from kick-off, Lia Lewis found Laura Morris in space on the right. Her ball over the top found Katie Doster just inside the Long Eaton penalty area and she slammed home past the goalkeeper to give Saints the lead with 48 seconds played. The game continued to be played at high intensity with both teams probing and looking to find gaps. Saints had a number of half chances, before Long Eaton broke down the right wing, a cross/shot was drilled at goalkeeper, Sarah Parkes, who got a hand to it but couldn’t get enough on it to prevent it flying into the top left corner of the net to give Long Eaton the equaliser. Following the goal, Saints attacked straight away, with the impressive Doster being set through, however her shot flew just wide of the upright and out for a goal kick to bring a close to the opening ten minutes. Saints continued to have the lion’s share of possession, however Long Eaton also looked dangerous. Both created chances, with Saints’ arguably being the better of the two, however neither side took them. A Laura Morris corner gave TNS the lead again. Drilling the cross towards the near post, Kim Bebbington leapt highest, powering her header past the Long Eaton goalkeeper and into the back of the net to restore the Saints’ lead. The game began to draw out and as it wound down towards half-time, both teams seemed content to play a midfield battle, which suited the side who were winning. Saints appeared to have still been in the dressing room as the referee kicked off for the second half. 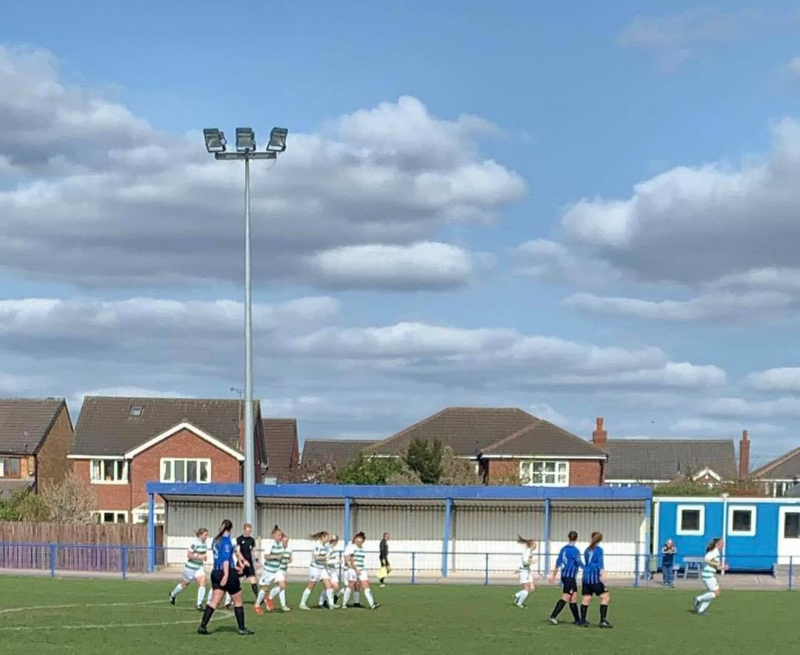 Long Eaton had a number of early second-half chances, including a shot that Lauren Brown hacked off the line and thanks to brave goalkeeping from Parkes kept the score as it was. After weathering the storm for 10 minutes, Doster broke away down the middle of the pitch, sending a low driven ball out to the left to Zoe Griffiths who took a touch and crossed low for Morris to nip in at the near post and poke the ball home to give Saints a two-goal cushion. 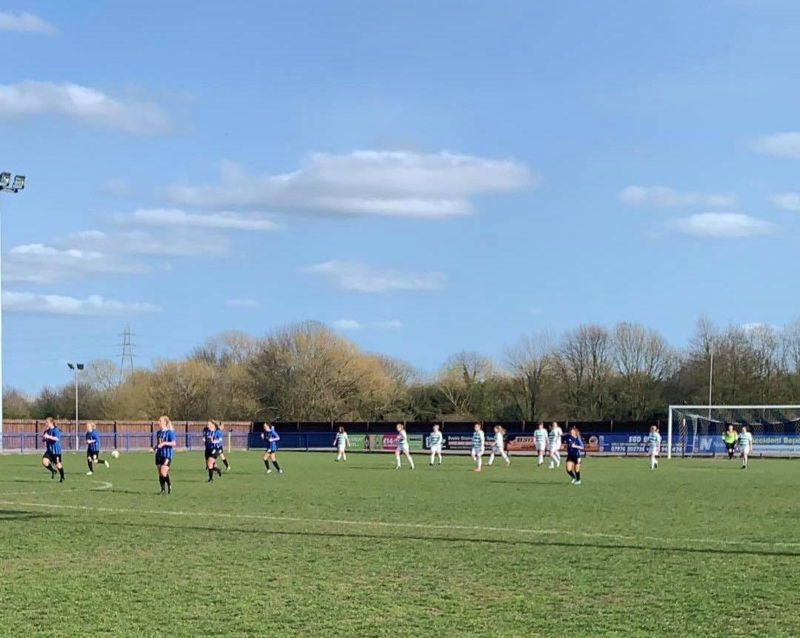 In the 78th minute, Wilson brought on fresh legs, Morris and Pennington being replaced by Caitlyn Smith and Sarah Jackson, but it was Long Eaton who struck next in the 81st minute. A foul on a Long Eaton midfielder, 35 yards from goal, led to a free-kick which was smashed into the top right corner to give the home team some hope of getting an equaliser. However, it was not to be, as straight from kick-off, Lia Lewis pumped the ball to the Long Eaton right back, who controlled well and played back to her goalkeeper. The only problem was she hadn’t noticed Doster, who pounced on the pass, and after all three players collided in the box in their attempts to secure possession, Doster came out with the ball and smashed it home for her second and Saints’ fourth. Wilson made his final change in the 86th minute, with Taylor Davis replacing Zoe Griffiths on the wing. The game began to stretch, with TNS just happy to send the ball long and away from their goal and Long Eaton desperately looking for the goals to draw level. Long Eaton did finish the scoring though, a 93rd minute corner was floated to the back post and the striker brought the ball down and lashed a fierce effort into the top right across the goalkeeper.This proved to be the last kick of the game though and the referee blew for full-time. 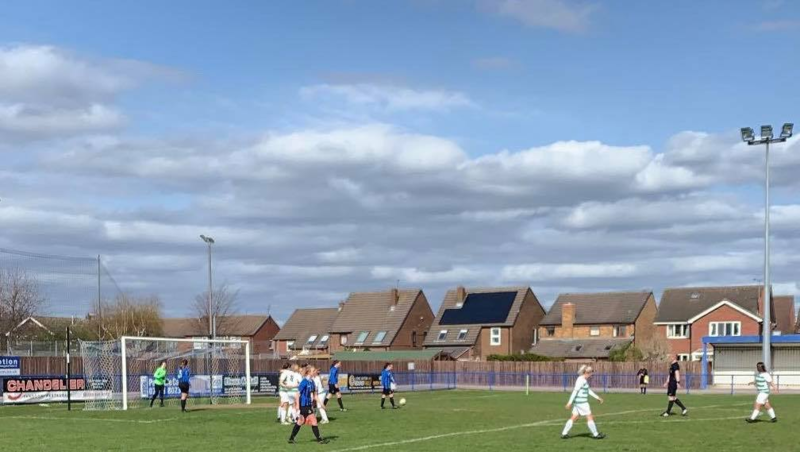 Saints travel to Leek Town in a friendly next weekend, with the Staffordshire side sitting top of the West Midland Regional League – D1 North, before returning to league action away to Sporting Khalsa on Sunday 14th April.